Complete list can be viewed on Kumon website. It's Jani's first day at school and she's nervous. Will the other monkeys be friendly? Will they all stare at her? Jani is in a wheelchair, and this makes her different. But, thanks to her sense of cheekiness, she makes friends and has a very nice first day at school indeed. 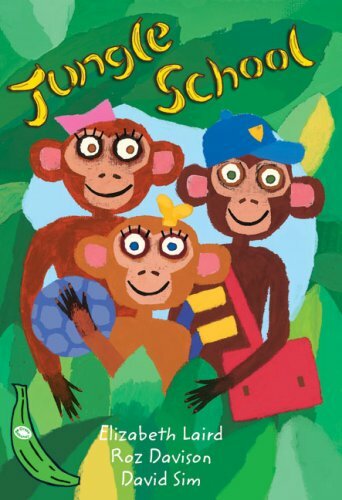 This book stars a monkey with a sense of fun. 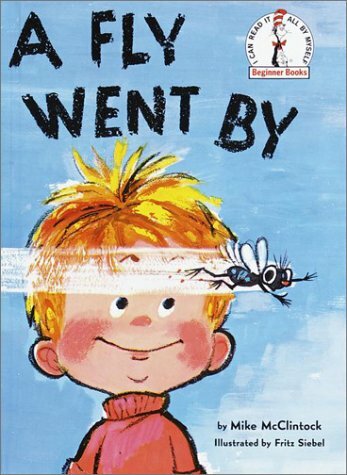 A fly is followed by a menagerie of characters in this humorous cumulative tale edited by Dr. Seuss. When a young boy sees a frantic fly buzzing past, he asks where the fly is headed—and with that, a chase begins. The fly and the frog, the cat and the dog, the pig and the cow, the fox and the hunter . . . who is causing all the fuss? A Fly Went By will have young readers buzzing with excitement! "The writing is merry and the pictures are real fun. Recommended." --School Library Journal. Tim is very shy. He likes playing with his dog Wig and his bird Zip. When Lola moves next door and gives him a mysterious birthday present, it is the start of a magical adventure! A moving story about the gift of friendship. 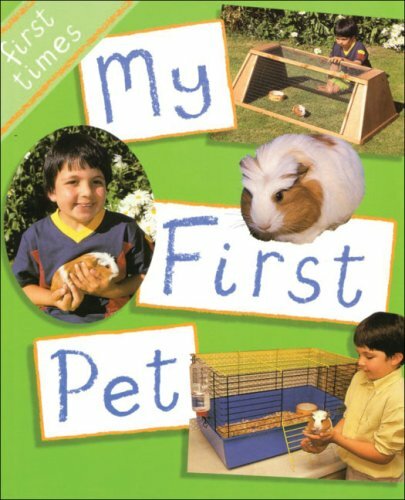 First Times explores exciting and memorable first events in young children's lives. Each title has been carefully planned to show a child responding to a real life situation exploring both their worries and their excitement. Specially commissioned photographs take the reader though the narrative giving lots of opportunities for sharing and discussing experiences. 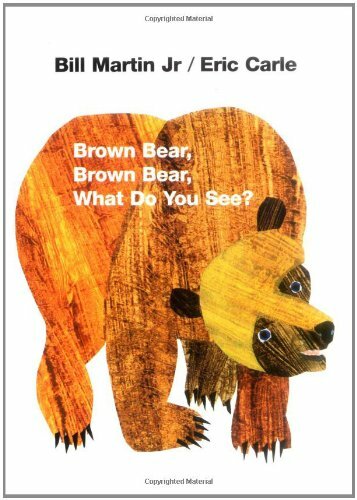 Two levels of text offer the chance for young children to join in if they can at either level or simply to enjoy looking at the pictures. Notes for Teachers and Parents provide invaluable support and provide further information about how to deal with these first experiences. 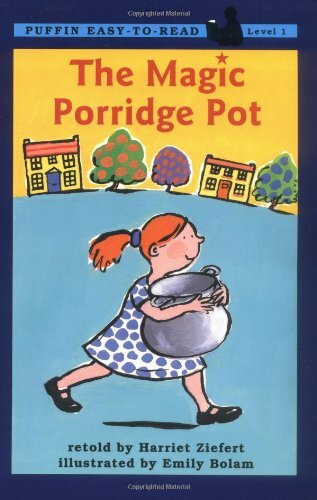 Using a magic word, a little girl can have her fill of porridge anytime as the magic pot will simply fill up for her, but when her mother tries to do the same thing without the use of the magic word, her results are very different. "This is the turtle that slid into the pond and ate the snake that dropped from a branch and swallowed the fish that swam after the frog -- JUMP, FROG, JUMP!" 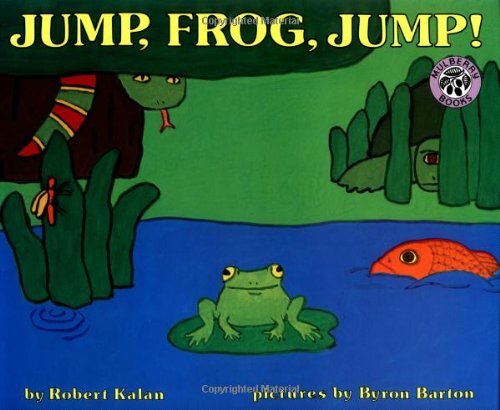 This infectious cumulative tale will soon have the young frogs you know jumping and chanting with joy. 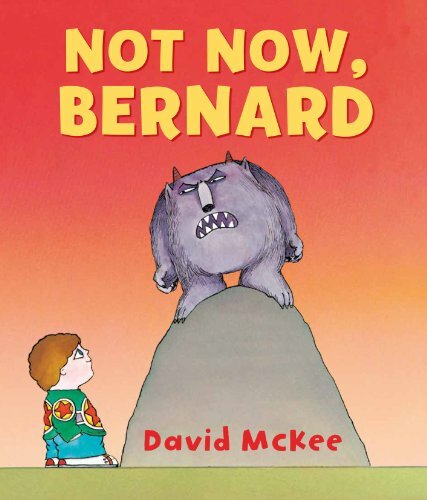 Bernard's parents are so busy doing their own thing, that the monster can eat Bernard's dinner, break his toys, and even eat Bernard, without being noticed! It's a pleasant day, so Mr. Gumpy decides to go for a boat ride. Each barnyard animal begs to join him, and Mr. Gumpy agrees-as long as each behaves! 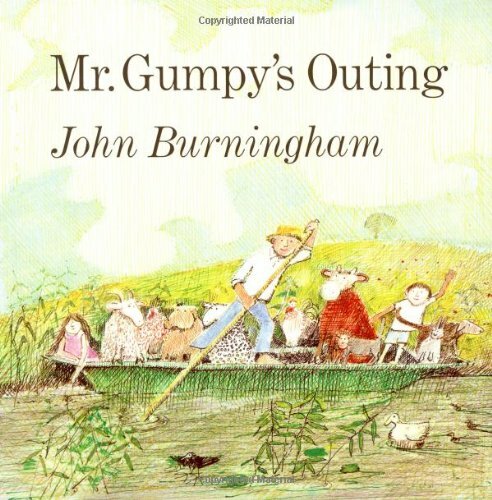 Two children join the fun, and as soon as the boat is launched, everyone does exactly what Mr. Gumpy asked them not to do. The result? Splash! This tale fits right into the toddler's sense of humor. Ben rips open his present and finds a penguin inside. “Hello, Penguin!” he says. “What shall we play?” But Penguin says nothing. Even when Ben tickles its belly, does a dizzy dance, and sticks out his tongue, Penguin makes no response. What will it take for Penguin to say something — or for Ben to understand what Penguin has to say? Spare illustrations bring whimsy to this offbeat tale, in which a little boy gets his heart's desire. 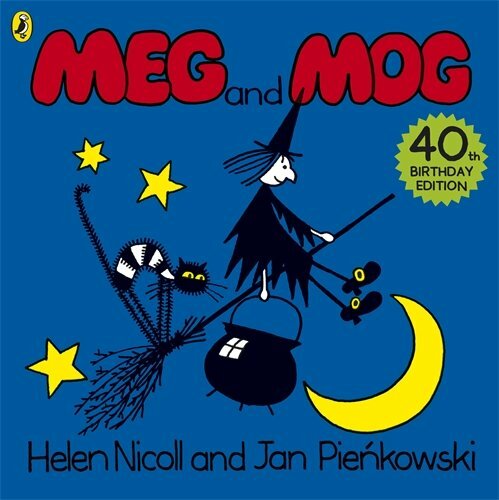 A 40th anniversary edition of the children's classic picture book, Meg and Mog. Meg the witch and Mog her cat go off to a wild Hallowe'en party with all the other witches. The spell they cast goes off with a BANG! Meg and Mog is the perfect story for sharing or reading alone, and children love exploring the colours, sounds and shapes. Small children (and lots of adults!) love pants. They love talking about pants. They giggle whenever pants are mentioned. Let's face it - pants are VERY FUNNY! 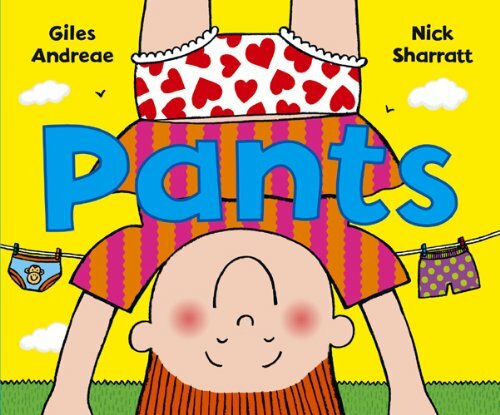 PANTS is a picture book with a brilliant rhyming text by Giles Andreae and lots of hilarious pictures by Nick Sharratt. 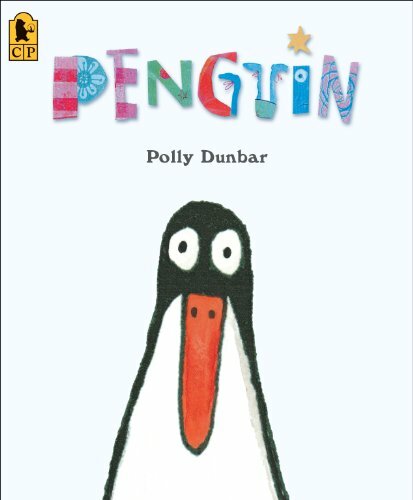 As we go through the book we meet lots of different animals, people and sometimes inanimate objects each wearing a different kind of pants - every shape, pattern, colour, size and style that you can think of - and lots more besides! 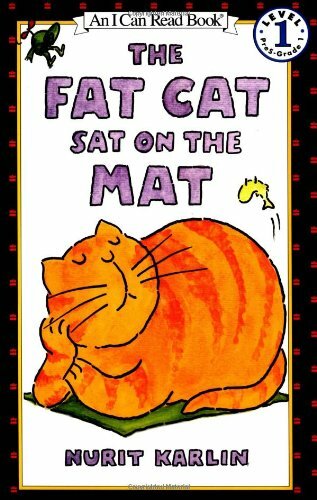 This book will make children laugh and they will ask for it again and again. PANTS - which ones are your favourite? 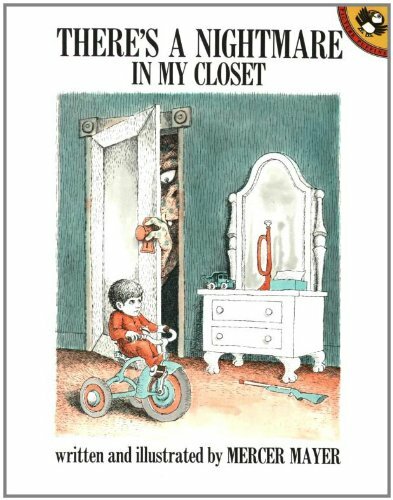 "Childhood fear of the dark and the resulting exercise in imaginative exaggeration are given that special Mercer Mayer treatment in this dryly humorous fantasy." My brother and I really enjoyed this book. We just read it this morning. 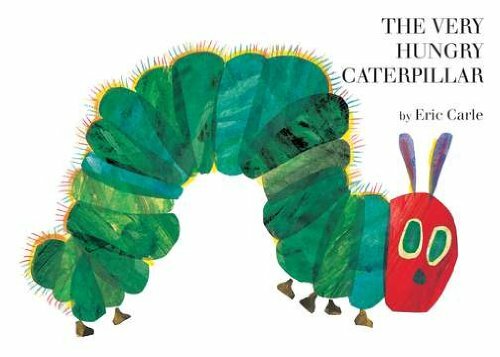 Any child will enjoy this book. pictures. Sometimes it's better to be a cat. Kitty the cat has a dream. She wants to be a dog. Kitty wants to bark, to howl, to run and jump in the sea. 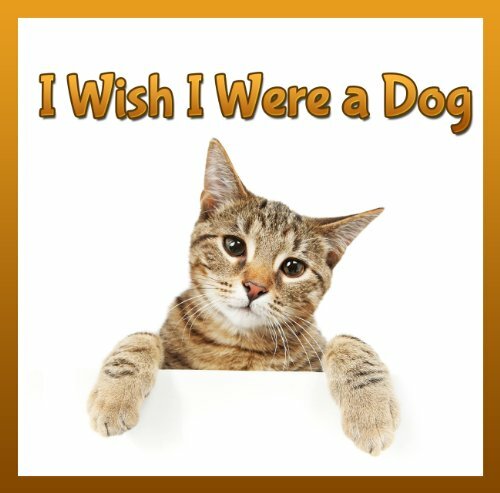 Kitty wants to do what dogs do. Why? That's just how Kitty is…. 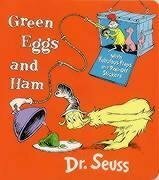 Reading goes to the dogs in this timeless Beginner Book edited by Dr. Seuss. 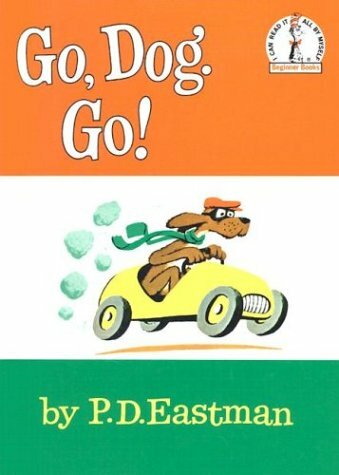 From big dogs and little dogs to red, green, and blue dogs, dogs going up and dogs going fast . . . who knew dogs were so busy? And laughter will ensue at the repeated question “Do you like my hat?” Like P. D. Eastman's classic Are You My Mother? Go, Dog. Go! has been a go-to favorite for over fifty years, leaving audiences of all breeds wagging their tails with delight. 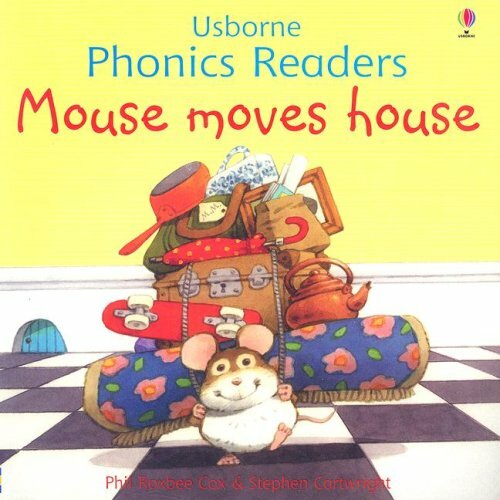 A story with a phonics-based text to help children who are beginning to read. It is illustrated by Stephen Cartwright. Some pages have pull-out flaps to give readers a chance to guess what will happen next. The inside back cover gives a phonic breakdown of the words in the story. 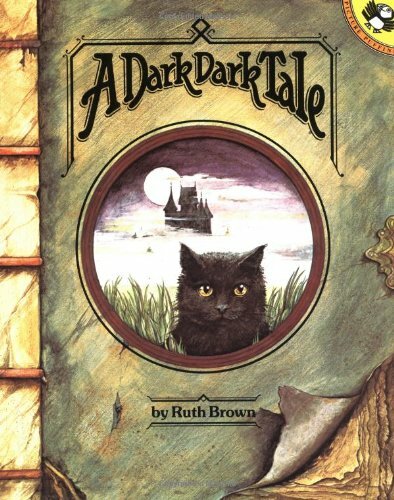 "Once upon a time there was dark, dark moor. On the moor there was a dark, dark wood. In the wood there was a dark, dark house". Young listeners will be kept on the edge of their seats as the journey continues up dark stairways through hidden passages, around sharp corners and behind windblown curtains. 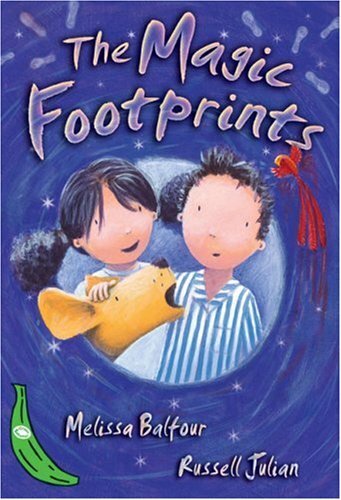 "A splendid choice for group story time".--School Library Journal. American Bookseller Pick-of-the Lists. Full-color illustrations. The boy, the bear and the dog are the best of friends. 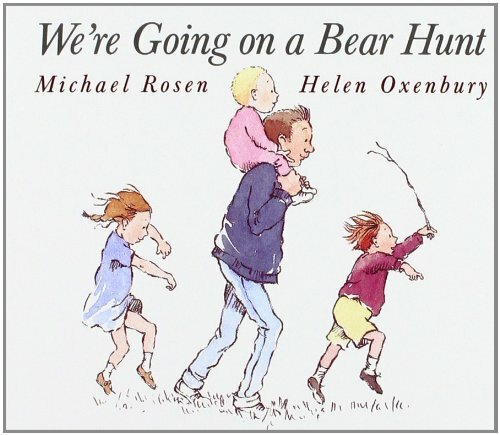 But one day the bear gets lost and has to be searched for high and low. 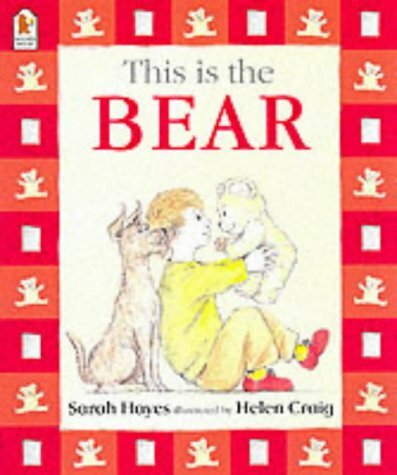 In This is the Bear and the Scary Night, the bear gets accidentally left behind in the park and has a scary night adventure! These delightful picture books are two of four in an early reader series that has been a huge success in the trade, schools and libraries. 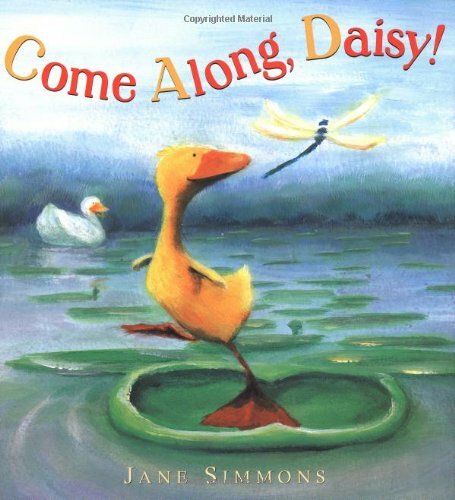 Daisy's mother warns her to stay close, but there are so many distractions in the pond! After all, there are fireflies to chase and lily pads to jump on. A sudden, scary noise teaches Daisy to heed her mother's words. 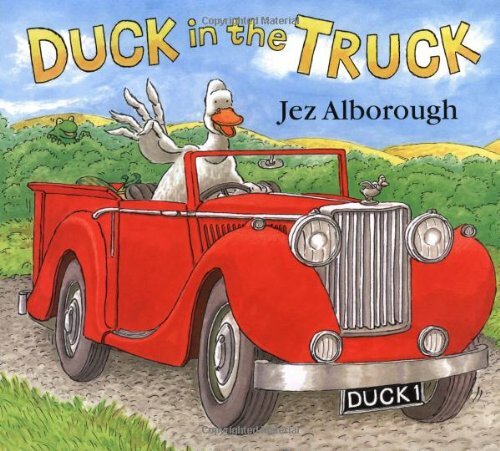 The author's colorful illustrations will capture children's attention as they enjoy the adventures of this playful duck. Text copyright 2004 Lectorum Publications, Inc.
Spring has come and the garden is looking a bit bare, so it's off to the garden center for Mum, her little daughter, and the baby. After finally deciding on just the right flowers, seeds, and even a tree, it's time to go home and plant. This delightful story shows how even a familiar event can be an occasion for joy. 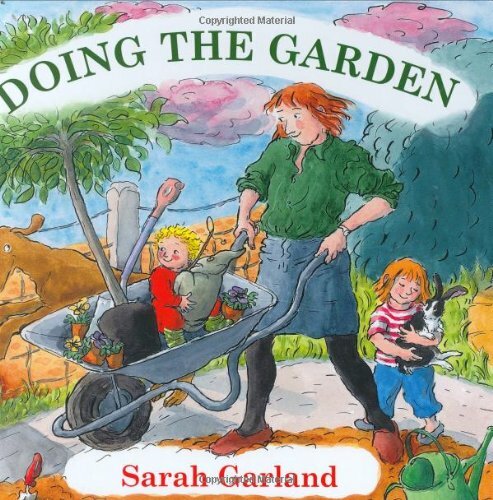 Garland's appealing illustrations are full of visual humor  the tree's perilous journey home in an old pram, the always-digging family dog  while her simple, child-friendly text is underscored with dry wit that appeals to parents. Read all about Clifford's BIG ideas! 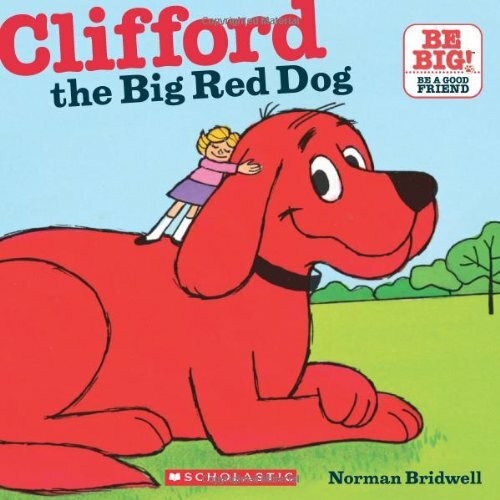 Classic Clifford reissued! 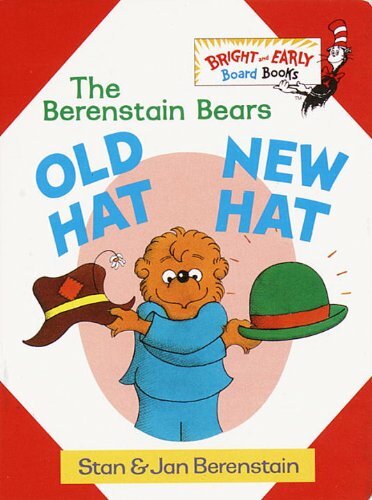 Brother Bear explores the concepts of size and shape as he shops for a new hat. 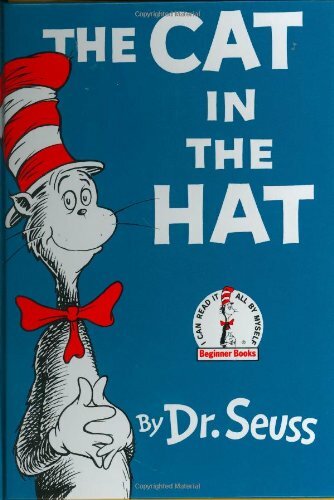 He tries on frilly hats and silly hats, bumpy hats and lumpy hats, until he finds the most perfect hat of all--his own! Titch is little. Everything he has is little -- his little pinwheel, his little tricycle. He even plays a little whistle. Peep. Pete and Mary are big. 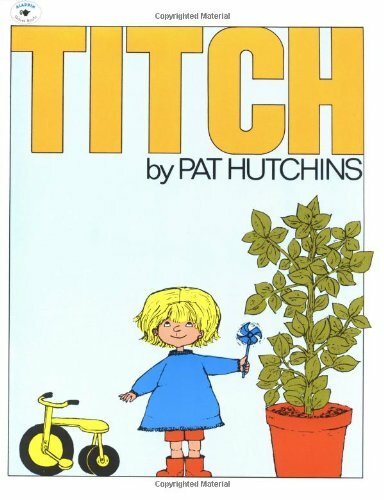 Everything they have is bigger than Titch's, and better. Their big bikes go faster. Their big kites fly higher. And their huge instruments are much louder. BANG! But then Titch gets a little seed. And what comes from it is a hundred times bigger then anything Pete and Mary could ever have! Rosie the hen leaves the chicken coop and sets out for a little walk. Right behind her is the fox, slyly trying to catch up with her. 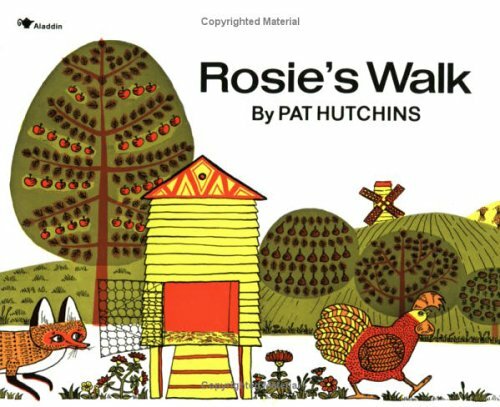 Rosie's walk is quiet, uneventful and eventually leads her back to the coop, blissfully unaware of the fox's travails as he tries -- unsuccessfully -- to navigate the obstacle course that Rosie has led him through.